Rubies are on display at a shop on November 22 of 2006 in Mae Sot, Thailand. 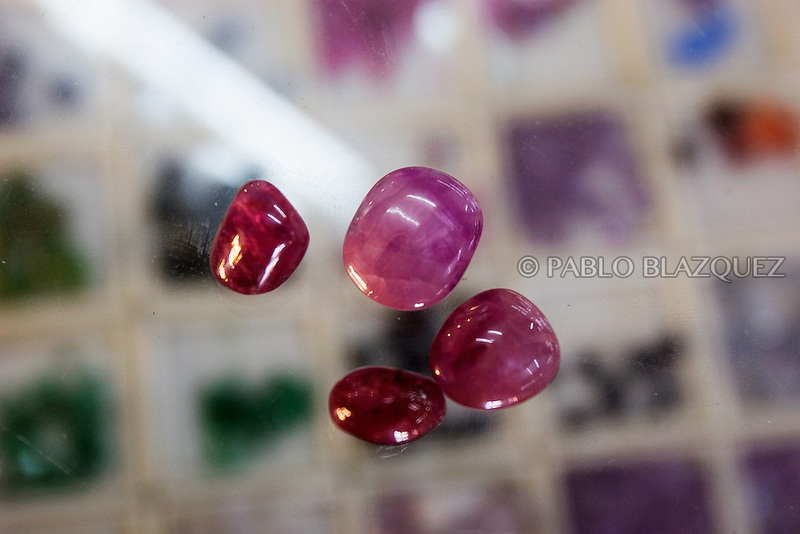 Mae Sot is well known by its trade of rubies, jade and gems comming form Burma. They are widely sold in the shops but also in the black market..Burma has since 1962 been ruled by dictator Burman Regimes. Pro democrats and minority ethnics have since been object of human rights abuses and armed minority groups has appeared bringing a state of Civil War..This situation makes every days people to flee their villages to go to Thailand.